Monday 6th June, LONDON - A lifelike alien beamed into Euston Train Station today, amazing bleary-eyed rail passengers and giving their phones a resurgence in the process. 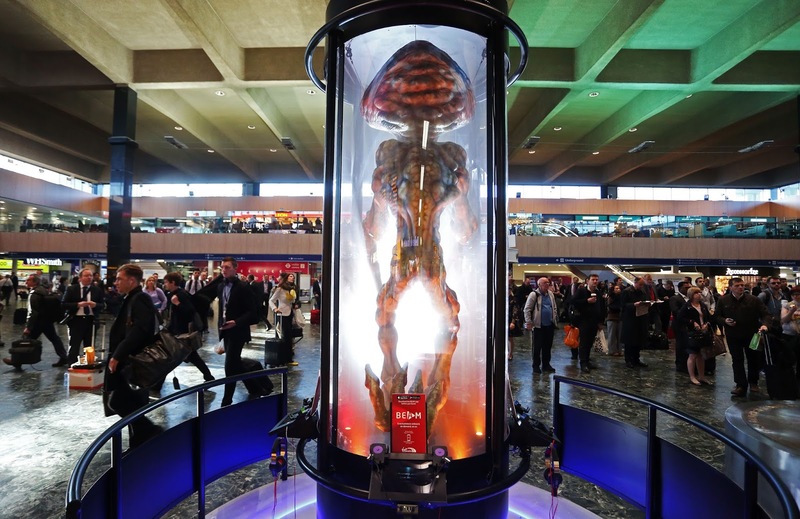 Encased in a giant pulsing laboratory cylinder, instantly recognisable to fans of Independence Day, the living, breathing specimen brings to life one of the aliens from the hotly anticipated sequel INDEPENDENCE DAY: RESURGENCE, in cinemas 23rd June. 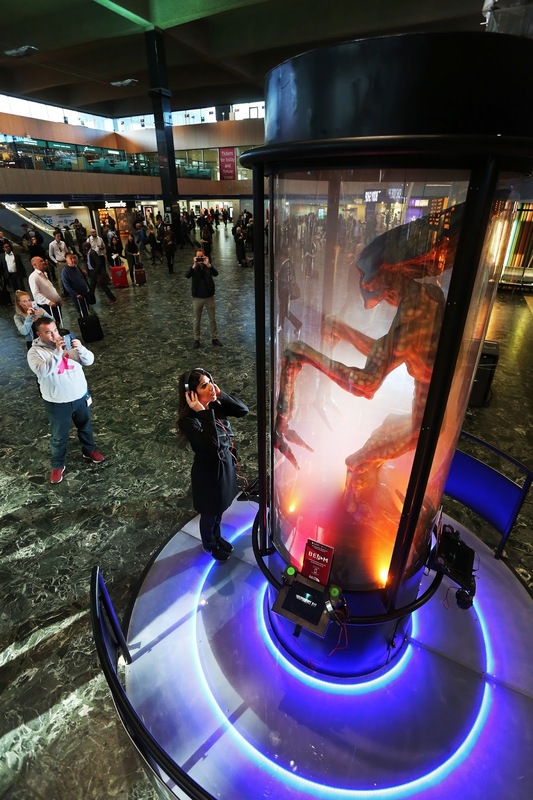 In partnership between Twentieth Century Fox Film Corporation and Virgin Trains, which is launching its brand new, complimentary App based entertainment service BEAM, the PHONE RESURGENCE experiential gives visitors of Euston the chance to charge their phones, apparently channelling energy from the alien specimen, whilst they view exclusive content from the new film and find out How to BEAM. 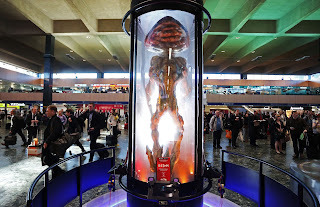 The installation, which shall remain live for a week in the main concourse, was unveiled by Alex Zane and a professor apparently from Virgin Trains' secret extraterrestrial division. It suggests that in the 20 years since the events of Independence Day in 1996, Virgin Trains have exploited the advanced alien technology to improve their service. #Virgin Trains' entertainment service BEAM is jam-packed with hundreds of hours of blockbuster movies, including the original Independence Day, as well as TV, giant reads and fun games, available on-board through the #BEAMapp. To celebrate its launch, #VirginTrains is the official travel partner of #IndependenceDay: Resurgence, the sequel to the Oscar-winning Independence Day which is available on BEAM. An Independence Day: Resurgence train-wrap is being unveiled at London Euston today, with presenter Alex Zane showcasing the new train design to director Roland Emmerich and A-list cast members, Liam Hemsworth and Jeff Goldblum, who each have a carriage decorated for their characters along with the characters from the film on the side of the train.